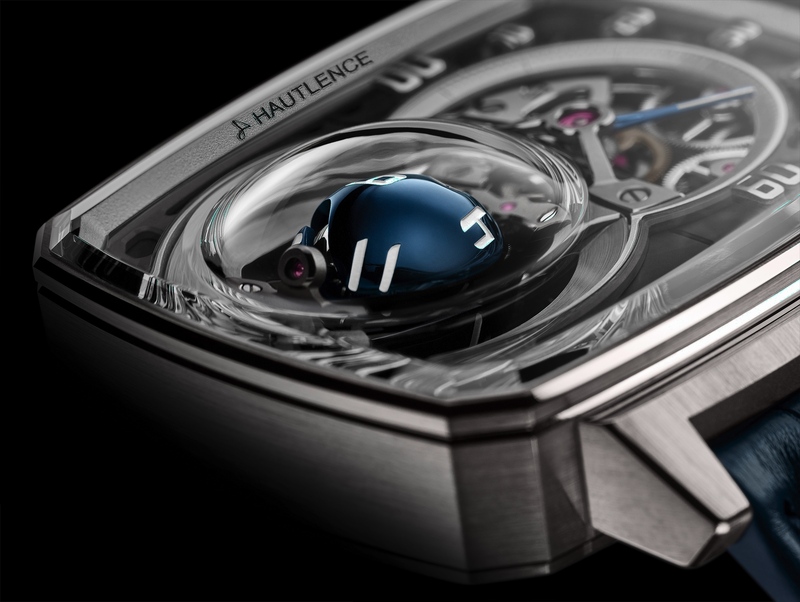 First launched in 2010, Hautlence debuts another Concept d’Exception timepiece this month called: Vortex. 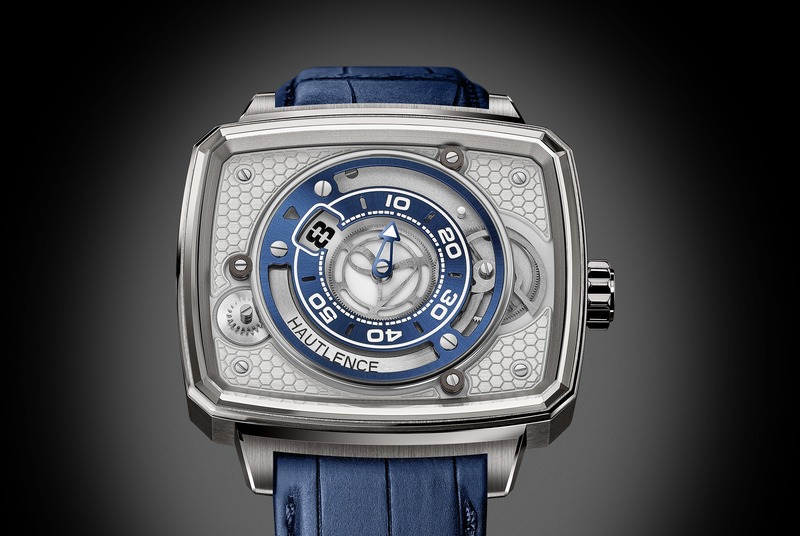 The Vortex timepiece displays half-trailing hours, retrograde minutes and a power-reserve indicator. The display changes every hour, as the entire regulating organ rotates 60 degrees every 60 minutes. 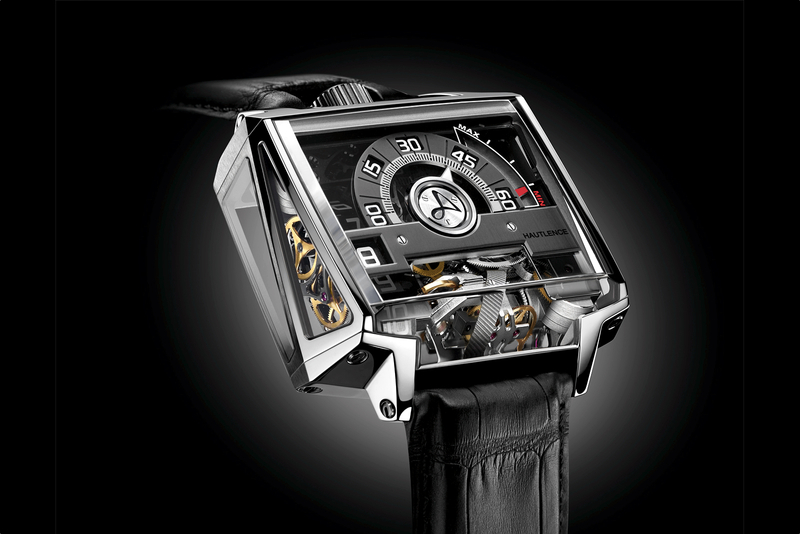 Inside is a redesigned and reinterpreted version of the innovative in-house automatic calibre HR2.0 presented in the first Concept d’Exception. Hautlence collaborated with the prominent Parisian design studio BBDC (Berra Blanquer Design Consultants) to create Vortex’s eye-catching and state-of-the-art design inspired by contemporary architecture. 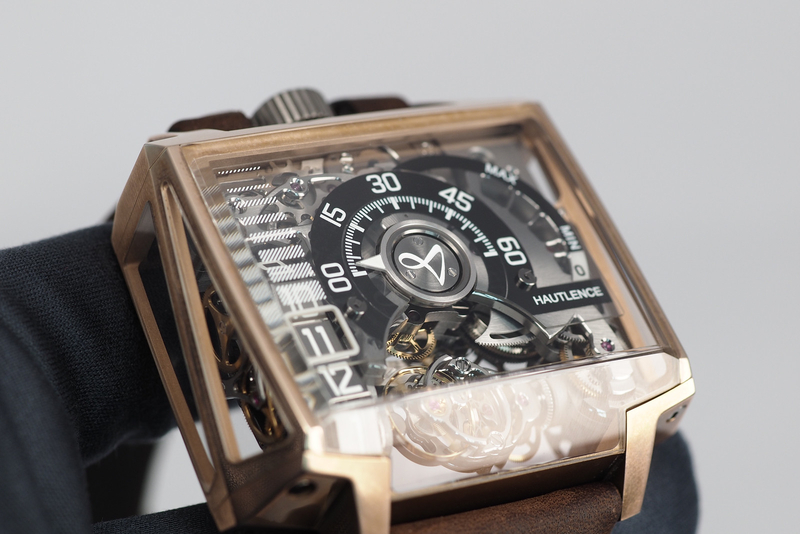 Vortex is available with three elegant straps that can interchanged with the included screwdriver. It is paired with a black Louisiana alligator leather strap with large square scales, a black hornback crocodile leather strap with red topstitching or a black rubber strap, each equipped with a folding clasp in grade 2 titanium with a palladium plate. Vortex will be available in a limited edition of 88 numbered pieces starting this September.